What a great way to start the weekend…a Gallery Crawl! 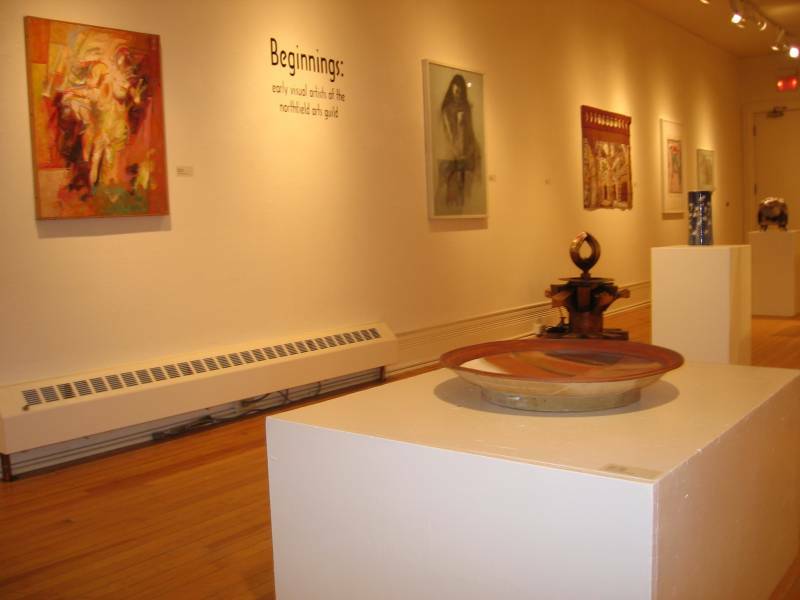 Be sure to check out Beginnings: early visual artists of the Northfield Arts Guild at the Arts Guild, part of their 50th Anniversary Celebration. Thursday, October 8th, Northfield Gallery Crawl, 6 to 9 p.m., Northfield Arts Guild , Carleton College, St. Olaf College and more, in a related event, Lecture: Tiled Artwork Based on the Goldbach Conjecture, 7 p.m., Dittman Center 305 on the St. Olaf College campus, and then end the evening with Mark Mraz, 7 p.m., Tavern Lounge (riverside of the Archer House). Friday, October 9th, it’s me, Lance and Justin, the New Moon Trio, 5 to 8 p.m., Contented Cow, Sawtooth Bluegrass Band and Monroe Crossing, 6 to 11 p.m., Grand Event Center, Jeff Ray, 7 p.m., Tavern Lounge, Nicola Melville, 8 to 9 p.m., Concert Hall on the Carleton College campus, D J Music, 9 p.m., Rueb’N’Stein, Peter Ricke Trio, 9 p.m., Contented Cow, and D J Music at Froggy Bottoms. Saturday, October 10th, it’s Fall Fest with all sorts of fun, 10 to 3 p.m., all around Downtown Northfield, Inish Mohr (Irish/Scottish Group), 3 p.m., Northfield Public Library, Jon Manners, 7 p.m., Tavern Lounge, Eurydice, 7:30 p.m., Haugen Theater on the St. Olaf College campus, Cemetery Stories, tours start at 5:15 p.m., Northfield Cemetery, and Draper Daniels at the Contented Cow. Sunday, October 11th, it’s Eurydice, 7:30 p.m., Haugen Theater on the St. Olaf College campus, and Politics and a Pint, 6 p.m., Northern Roots Session, 7 p.m., and Quiz Night, 8 p.m., all at the Contented Cow.